John Tory is reiterating his call for a handgun ban following two more deadly shootings in the city, while also pledging to spend millions on community programs to keep youth away from crime. 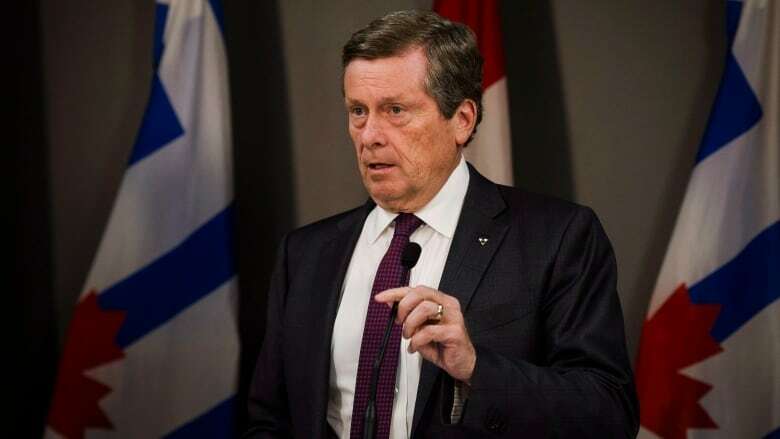 Tory, who is seeking re-election as mayor in the Oct. 22 municipal election, held a Wednesday campaign announcement focused on community safety at the Believe to Achieve Youth Centre in North York. The speech came just hours after a man in his 30s was slain near a Danforth Avenue sports bar, while another male was found shot to death inside a vehicle in Toronto's west end. "Any loss of life is tragic," Tory said, adding he has a sense of heartbreak every time another murder happens. "These incidents often happen in spikes … but that doesn't make anyone feel any better," he said. Tory vowed to match the $25 million the Ontario government recently announced it will send to the city if he wins re-election this fall. For now, he said, the city is still waiting to see how the funding, announced by Premier Doug Ford in early August, will flow to the municipality. One third of the city's matching funding, Tory said, will go to police, while the other two-thirds will go to community programs — which include everything from youth programs to job fairs. Tory said those programs have the power to stop youth from getting involved in crime in the first place. Tory also said he's continuing to press federal officials on a ban on handguns in Toronto, repeating his belief that nobody needs to have that kind of weapon in the city. He said he's also hoping for tougher laws for gun-traffickers. There have already been 63 homicides in the city this year, and more than 265 shootings according to Toronto police statistics, prompting calls for governments to act. There were 66 homicides in 2017. There were 74 homicides in 2016. The lowest number in recent years was 51 homicides in 2011. The highest number was 86 in 2007. Tory has previously decried the uptick in violence, while Toronto police have taken some steps to curb the gun crime including enhancing overnight patrols.